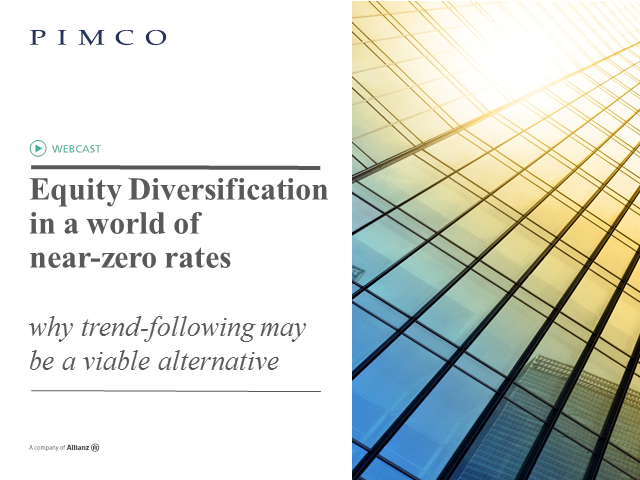 With interest rates at or below zero in many developed economies, investors are broadening their search for positive-returning assets that can help diversify equity risk. Fixed income assets, whose prices traditionally rally as equity markets fall, are seeing reduced usage in this role, because many investors believe interest rates have limited scope to fall further. The webinar will discuss the pros and cons of using trend-following strategies as an alternative way to diversify equity risk.